Coastal Carolina’s amazing ride to the 2016 national championship was a wild one as the Chanticleers became the first team to win a title in its first trip to the College World Series since Minnesota 60 years ago. While it took great hitting, defense and mental toughness to navigate the tough road to the title, one area few talked about was Coastal Carolina’s pitching which was fueled by the concept of Effective Velocity as orchestrated by one of the nation’s top pitching coaches, Drew Thomas. It was a staff that was able to capture a Regional on the road at N.C. State, a Super Regional at Louisiana St. and then faced a gauntlet of powerhouse teams at the College World Series, including Florida, TCU, Texas Tech. and Arizona. Thomas felt Effective Velocity was instrumental in Coastal Carolina becoming national champions as the staff lived and died by pitch calling sequences that were governed by this concept. What is Effective Velocity? After 10 years of studying the timing of hitters, researcher Perry Husband found conclusive evidence in 2004 that pitching in certain locations and in certain sequences can give pitchers a dynamic edge. Thomas, who just finished his 10th season at Coastal Carolina, gave Collegiate Baseball an in-depth look at why EV worked so well for Coastal Carolina pitchers during the 2016 season and particular the NCAA playoffs and how he learned all the nuances involved. “I was intrigued with the concept of Effective Velocity and purchased Perry Husband’s first book which came out in 2004 (The Science of Effective Velocity). The information was excellent and I then purchased the other two books in the series as they came out (The Hitter’s Attention Theory and The Science of Pitch Sequencing). “Then I took the Advanced Effective Velocity online course which gave me a deeper understanding of how I can utilize the concepts with my pitchers. “It’s a very complex subject to be perfectly honest. There were a lot of things that I had to learn myself before I could teach those concepts to my players. With teaching kids about Effective Velocity, it is very individualized because it depends on the pitcher’s arsenal of pitches, movement of pitches, arm angles of pitches, the flight of pitches and deception. Thomas said the Advanced Effective Velocity online course was an important step in being able to teach his players. “As humans, many are visual learners. When kids get to our school, we have them take a VAK Test so we can identify how each player learns in the most efficient way. We must find out if they learn better in visual, auditory or kinesthetic learning style models. “Over the years, we have found that more of them are visual or kinesthetic and less and less auditory. So it does me no good as a pitching coach to sit up there and talk all the time. With Perry Husband’s Effective Velocity concepts, I can show each player how to implement it within our video system with the specific arsenal of pitches each one has. Thomas, who calls all pitches for his staff during games, explained how Effective Velocity concepts have helped him with pitch selection. “It is absolutely vital that the pitcher on the mound and I are thinking along the same line with pitch selection. Our pitchers understand what is going on. They have a feel of what will be called and the reason behind this. 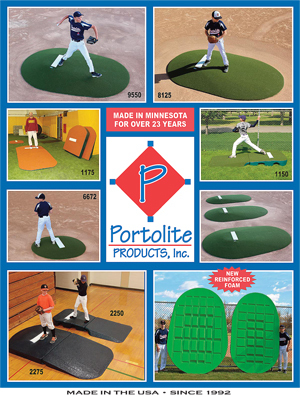 “It is important that pitch selection is settling with the pitcher on the mound. You don’t want him second guessing every pitch that is called. To read more, purchase the Sept. 2, 2016 edition of Collegiate Baseball or subscribe by CLICKING HERE. 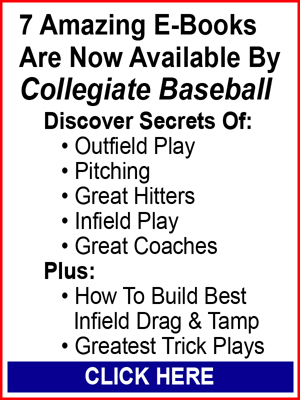 The rest of the story includes information on how deception was accomplished, how Coastal Carolina charts EV, breaking down hitters, controlling contact, hitter’s attention to pitches, adding and subtracting speed, reverse engineering, functional movement screening, velocity improvement plan and improvement of the visual game, among other intriguing topics. OMAHA, Neb. 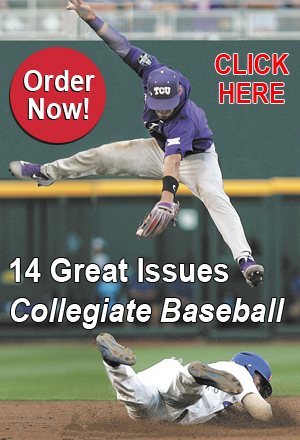 — The 2016 College World Series had a surprising 25.7 percent viewership decline over the 2015 event on ESPN, ESPN2 and ESPNU from figures obtained by Collegiate Baseball through the NCAA. Thirteen games had viewership declines comparing Nielsen Ratings from the previous year, including 10 of the first 11 televised games. Game 13 was not played in 2015 and was not factored into the numbers. But the other 16 games were compared to 2016 ratings. The largest decline was game three of the Championship Finals which saw a 73 percent dip in viewership. The game was scheduled to be played on Wednesday at prime time starting at 8 p.m. on ESPN. But rain postponed the contest until the next day as the NCAA made the difficult decision to start the game at 1 p.m.
ESPN preferred rescheduling the game to prime time in the evening, but the NCAA decided to play it at 1 p.m. because of weather concerns. Because of the NCAA’s decision, the national championship game pitting Coastal Carolina and Arizona was switched to ESPNU and only had a 0.31 rating. That was a 73 percent audience decline from the previous year which was on ESPN in prime time and had a rating of 1.14. Only two games had increases in viewership. 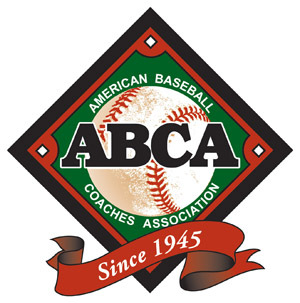 Game 12 between Coastal Carolina and TCU had a 21 percent increase while there was a 9 percent increase in viewership in game two of the Championship Finals between Arizona and Coastal Carolina. To read the entire story, with a breakdown of how the Nielsen Ratings were for each game, purchase the Sept. 2 edition or subscribe by CLICKING HERE.